​The emphasis of the health sciences on fitness and wellness has brought to women's attention a need to pay closer attention to their bodies during recreation, work, and throughout life. 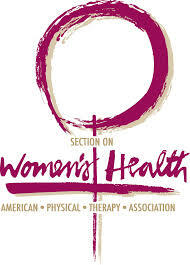 Many physical therapists have specialized training which will benefit women with a variety of medical conditions. These therapists use every facet of their physical therapy training to evaluate and treat female clients, promoting and enhancing health through the life span. A Women's Health physical therapist has undergone training to treat conditions such as urinary incontinence, pelvic pain, and prenatal and postpartum pain. Pregnancy and Postpartum are times in a woman's life that bring about many feelings; excitement, anticipation, joy, nervousness, and sometimes discomfort. A number of changes happen to your body during and after pregnancy. It can take several weeks or months to get back to the condition you were in before you became pregnant, and there are some things that will just never be the same! Physical Therapists are experts in treating the musculoskeletal system (the muscles, joints and the surrounding soft tissues of the body). Physical therapists that are specially trained in women's health can safely and effectively help women overcome issues that arise during the childbearing year so that women can focus on these amazing life experiences without pain or further undue stress. Physical Therapists utilize their specialized medical training to thoroughly evaluate each patient and design treatment programs that address her individual needs. It is the goal of the therapist to empower the patient and make her a partner in her care. Physical therapy is proven to be successful in the care of pregnant and postpartum patients. The carry-over of healthy habits, exercises and skills the patient acquires through physical therapy treatment help her transition through the childbearing year and prepare her for the constant physical demands of raising a young child. additional bladder, bowel, and sexual dysfunction may develop. The pelvis serves many roles in our bodies. Nearly every movement and position of the human body depends on the pelvis. Proper activity and balance between all of the muscles, joints, and tissues of the pelvis are essential for normal pain-free function. The pelvis also plays a role in sexual function, support and protection of the internal organs, and control of bladder and bowel function. Physical therapists utilize their specialized medical training to thoroughly evaluate each patient and design treatment programs that address her individual needs. It is the goal of the therapist to empower the patient and make her a partner in her care. Take Control of Urinary Incontinence with PT. Because many symptoms of urinary incontinence are caused by pelvic floor muscle weakness and dysfunction, a specially trained Women's Health Physical Therapist is the ideal provider to help you gain control over your symptoms. (Many treat men with urinary incontinence as well). Physical Therapists use their specialized medical training to completely evaluate and design a treatment program that is individualized for each patient.